Rocca Boutique of Turin reopens in Via Roma, 290, in a totally renovated look: an original interior design project reveals the new retail image of the brand, perfectly in line with the recent restyling of the store of Milan, Piazza Duomo, 25. The space, about 400 sqm, has been completely redesigned: customers will be immersed in an elegant and convivial atmosphere, provided with a sophisticated lounge bar. The shop is embellished by the light of an elegant Venini chandelier and by the sinuous movement of a staircase of refined design that leads to the open-plan laboratory located on the floor below and which will offer a unique Artistic Horological experience. 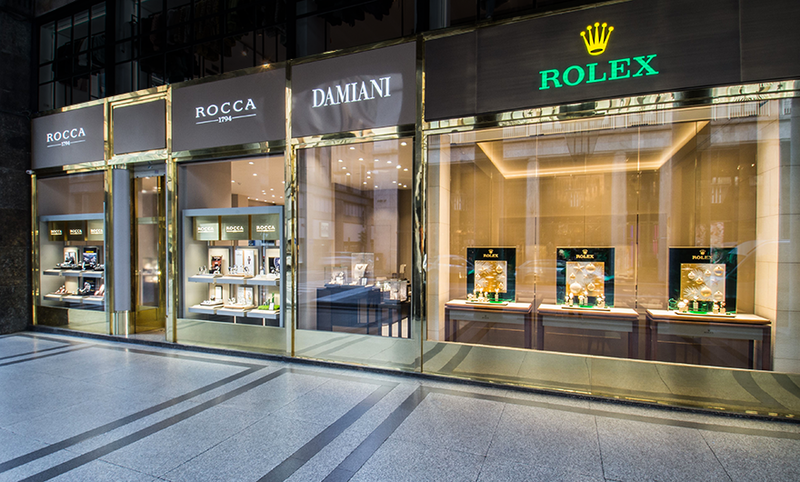 The new Boutique will rule the center of Turin with nine shop windows displaying the masterpieces of the most prestigious international Brands: Damiani, Rolex, Omega, Breitling, Venini, Salvini, Bulgari, Blancpain, A. Lange & Söhne, Baume & Mercier, Longines, Tissot.